Thinking of renting your property after retirement for some extra income? To rent or buy a home is a question that most people are confused about at some point in their life since it involves striking a balance between one’s accommodation need and financial considerations. However with growing number of elderly choosing to live separately. This dilemma is being faced by them too. The Indian family structure is gradually changing with increased number of young people moving out of their parent’s homes and choosing to live on their own. Often, it has been seen that it is the Senior Citizens of the family who choose to move out and live independently. Experts share that buying a home after retirement might not be feasible for everyone which makes renting a good choice instead. Let us discuss the advantages and disadvantages of renting a home after retirement. Retires have the freedom to rent a home near the amenities they require such as parks, hospitals and community centers. While you may have bought a home in a posh locality in your early days, it doesn’t make sense so stay there after retirement if the neighbourhood does not meet the needs of the retires. Prashant nath from property Yes De Emirates shares that owning a home involves several expenses such as maintaining the property, taxes, and insurance. By opting for a rented property, retirees can absolve themselves of the maintenance hassles and other responsibilities since the landlord is responsible for the upkeep of the property. Renting a home after retirement can help cut down the cost of living. Families often buy homes near schools and entertainment centers which add to the cost of the property. However, these amenities are not specific to retirees and hence, people are better off moving away to calmer and cheaper localities. Retires can also think of moving to a smaller house once the children move out. Moving closer to hospitals and other necessary amenities can help cut down on travel expenses. Renting is a good option for those not sure about how long they want to stay at allocation. It offers retires the option to enjoy a different or lifestyle without the commitment involved with buying one’s own home. The biggest downside of renting is that you are losing on the earning power of the money. The same money, if invested, could have generated income for you. 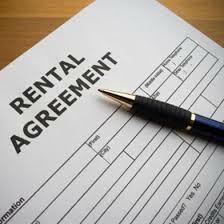 Paying rents can eat away your savings since rentals are increased periodically. This can complicate the finances of retirees who might not have a regular source of income anymore and would depend on savings or pensions. A major disadvantage of renting a property is that the tenants are not allowed to make any major changes to the property. Avers Nath. This can put one at the mercy of the landlords in case the senior citizens need to make certain alterations required in old age such as adding hand rails in the bathrooms. Some landlords might put other restrictions on the tenants such as not allowing pets or guests. It is important to consider all the factors involved in renting, including one’s requirements, finance, and future plans. Proper planning can help make your post-retirement years the best period of your life. It is better for the retire peoples to buy the home and take the assistance of property management service help to live stress-free life from the taxes, bills, renovations, rent collecting etc., it is the best way for the additional income to the Senior citizens.